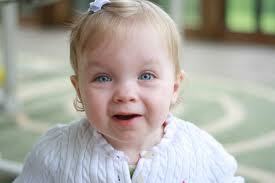 Dravet syndrome is a rare genetic epileptic condition that appears during the first year of life. It is also known as severe myoclonic epilepsy of infancy. It is caused by a change in the neuronal sodium channel gene, SCN1A. It shows frequent fever related seizures in its initial stage and as it advances; other type of seizures such as petit mal and grand mal are also visible. Status epilepticus (a state where seizure episodes appear in continuous manner) is also experienced, which requires emergency medical care. Children with dravet syndrome usually experience poor development of abilities such as language and motor skills and personality disorders. In the year 1978, Charlotte Dravet was the first to describe this situation as severe myoclonic seizures. Dravet syndrome occurrence is very rare. Most cases are associated with family history of severe myoclonic seizures (SME). 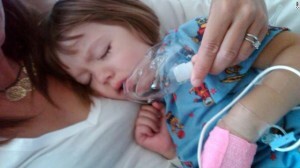 Families with medical history of tonic-clonic, febrile and afebrile seizures also show some cases of DS. Studies and researches conducted on patients with DS showed that SCN1A gene is responsible for the cause of dravet syndrome. However, in some cases mutation of SCN1A was not found and it may be possible that other gene such as GABBA-receptor may be responsible for DS. There are plenty of effective anticonvulsant medicines available to manage DS. However, the medicine’s effectiveness differs from children to children. Few common anticonvulsant drug salts that are in use are valproic acid, benzodiazepines, topirimate and Stiripentol. However, Stiripentol is best effective if it is combined with other salt such as valporic acid. There are medicine salts which should be avoided such as carbamazepine, lamotrigine, and vigabatrin because they can interact with sodium ion channel. Neurologist also advises benzodiazepines to manage status epilepticus, which shows continuous seizures. It can be one of the rescue anticonvulsant drugs. Few other treatment such as Vagus Nerve Stimulation (VNS), ketogenic diet and IVIG (Intravenous Immunoglobulin) have also been helpful to manage DS to some extent. Children with DS require special attention and care as well as your support in avoiding seizure triggers. The best way is to learn more about DS and seizure’s common triggers such as illness, change in body temperature, flickering lights and others. This will help you to better take care of your child. Can Marijuana/Weed Really Help Your Child With Dravet Syndrome? I was trying to search about possible treatments for children with Dravet syndrome and I found that regulated/controlled dosage of marijuana has produced some effective control on seizures in children suffering with Dravet syndrome. On 15th August 2013, CNN broadcasted a message conveyed by parents of the child suffering with DS, to legalize medical marijuana in New Jersey. This appeal was made to save a child suffering with DS from long pain bearing seizure attacks. It has been seen that a controlled dosage of medical marijuana helps to stop seizure attacks especially in children suffering with DS. As I was more curious to find whether it really works or not, I landed up on one webpage where a parent has described about their daughter who had frequent seizures but doctors were not able to control the seizure frequency. In fact the daughter after undergoing long painful seizure attacks was not able to walk or talk properly. At length, reading some articles on DS, her father found The Stanley brothers, who produced medical marijuana with low THC. The father started with a small dosage of cannabis oil and they were positive. The seizure attacks decreased to an astonishing level and today she can eat, walk and even ride a bicycle. Have a look at the video to listen to a conversation of a father to treat his child with cannabis oil. Many doctors and researchers are also surprised to see a healthy effect of medical marijuana on seizures. Above was just one example but there are plenty more when you search the internet. There are attempts to make medical marijuana legalize but it will take time as when the word marijuana strikes, most people of think it as a way to get high but let’s not abuse this natural medicine to control seizures of children suffering with DS. The government should take some actions so that it is easily available to treat children with frequent seizures. What are your opinions regarding this, please share your thoughts here.